Sitting on the Old Wall of Dubrovnik, overlooking the harbor on one side and the mountains on the other, we sat down for our first meal in Croatia. Add to that delicious food at Restaurant 360, a newly minted Michelin Star restaurant, it was a magical first evening in Dubrovnik, Croatia. Restaurant 360 Dubrovnik is the Please The Palate pick of the week. Restaurant 360 is literally set within the great walls of Dubrovnik itself. Located just outside the Ploče gate, we entered the contemporary space surrounded by the old stone walls. We were escorted downstairs and across a patio where we saw the open kitchen where the chef was at work. And then we were escorted back up some stairs to the tables along the wall. This is how winemaker Pam Starr described her beloved Cabernet Sauvignon as we were enjoying glasses of wine over dinner. As much as she loves Cabernet, even more important to her is terroir. Starr was raised in Palos Verdes in Southern California. Her father, a surgeon, and mother, a nurse, are originally from mid-west Canada and were not wine drinkers. But her upbringing is what led her to wine. A few weeks ago, on a warm Los Angeles day, I opened up the Monte Xanic 2016 Sauvignon Blanc from the Valle de Guadalupe in Baja, Mexico, and was immediately was taken back to the first time I visited the region. I recalled standing on the deck of Monte Xanic on a hot summer day, looking out at the spectacular view of the Valle de Guadalupe. 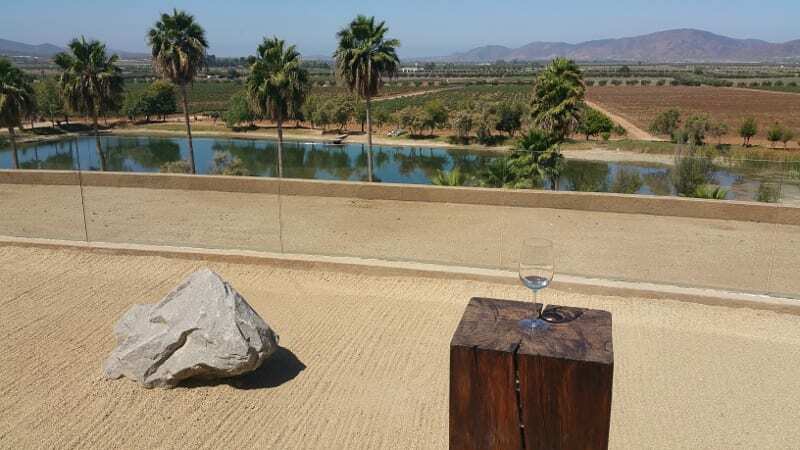 It was my first trip to Valle de Guadalupe and I was in awe of the modern winery that sat in the middle of the rustic valley.